The Sochi Winter Olympic Games are not only proving to be socially and politically controversial, but also environmentally devastating. Though the 2010 Olympic Games in Vancouver and the 2012 Olympic Games in London were praised as the greenest Winter Games in history, Russia is falling significantly short of those high standards even though they have already racked up a $51 billion dollar expense bill, the highest in Olympic history. This comes after Russia pledged to implement both a 'zero waste' program and green building standards before the games; they have clearly failed to follow through. 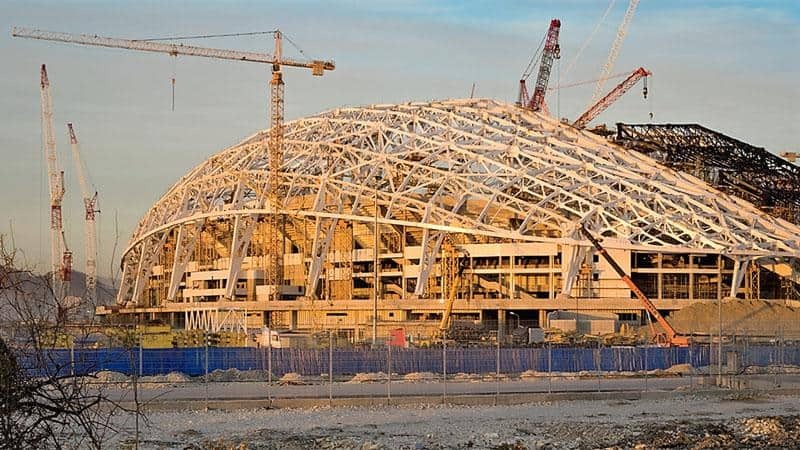 Sochi is a resort town that is majorly surrounded by national parks and marshland, so thus the majority of environmental devastation comes from the building of infrastructure in places where there was little before to support the crowds brought in by the games. Sochi has had to upgrade transportation, power, sewage and waste disposal services in order to support the estimated millions of visitors. In the seven years following it win of the Olympic Games bid, they have built 225 miles of road, drilled 22 tunnels through mountains, and added 25,000 hotel rooms. This Olympic construction, or rather destruction, has felled 5,000 acres of forest in the Mzymta River valley as well as hundreds of acres of wetlands. This means the destruction of thousands of acres of habitat for Russia's unique wildlife for a onetime event. Aside from the destruction of the natural landscape, many Olympic contractors including Russia's Railroad monopoly Russia Railways have run rampant with the practice of illegal dumping and landfill operations around Sochi. Some homeowners in the area have had their homes begin to slide downhill or even collapse completely which they blame on illegal dumping pits behind their homes by Olympic contractors. However, the most shocking reports come from construction waste being dumped in areas that have been classified as water protection areas. The Myzymta Valley has a beautiful and diverse ecosystem; much of it has been destroyed or disturbed for the games. Though the environmental effects of the Sochi Olympics are being vastly overshadowed, guests are sure to notice the devastation. However, whether they will care when there is the much more publicized issue of Russia's media censorship and gay rights policies is yet to be seen.